Man Utd saw their winning streak under interim boss Ole Gunnar Solskjaer come to an end on Tuesday as they fought back for a 2-2 draw at home to Burnley. In what was a thrilling end at Old Trafford, the Red Devils continued their impressive goalscoring form with two late goals to salvage a point and remain unbeaten in their last nine games across all competitions. While they will be disappointed to have dropped points in the race to secure a top-four finish in the Premier League, the way in which they battled back and showed such resolve so late in the game to claim a point will have buoyed Solskjaer and his players in itself. Nevertheless, the Norwegian tactician did make changes in midweek, one of which was leaving Anthony Martial out of the squad altogether, but he explained that the Frenchman picked up an injury after the win over Arsenal in the FA Cup last week and hopes he can recover in time to face Leicester City on Sunday. It’s sensible management from the interim United boss, as with such a heavy fixture load coming up, he has to strike a balance and rotate his players where possible to keep them fresh and away from injury setbacks. 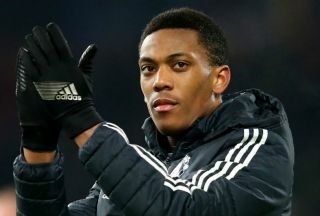 Martial made a huge impact off the bench against Arsenal, and could arguably have been useful against Burnley to help Man Utd maintain their winning run. However, he’ll hope that he can now use the rest of this week to recover and ensure that he’s at Solskjaer’s disposal at the weekend.